Planning an outdoor dining or BBQ event? 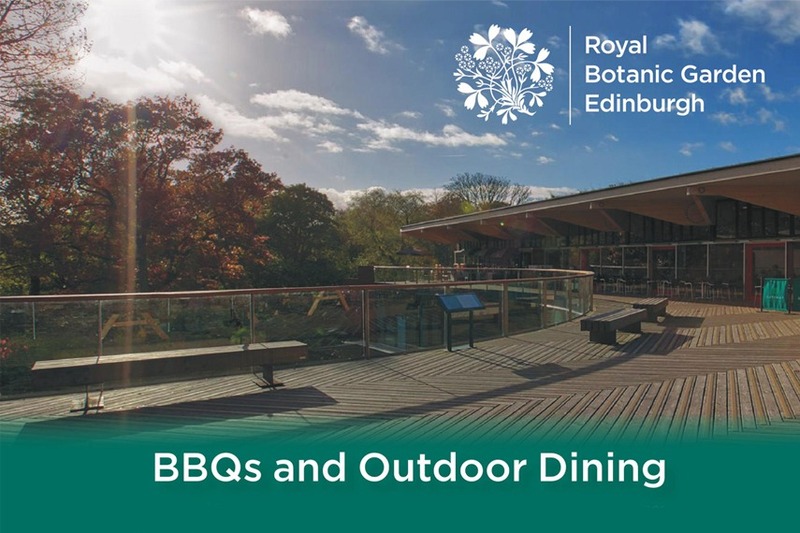 There is no grander outdoor venue in Edinburgh than the Royal Botanic Garden Edinburgh, boasting 70 acres of landscaped gardens and located within easy reach of the city centre. The Botanics offers a number of unique settings and packages for the perfect outdoor dining experience. On the John Hope Gateway’s decked terrace, an all-weather kitchen has been installed with the venue’s team of chefs able to create BBQ feasts, home-made stone-baked pizzas and an array of street-food style cuisine. Offering an enhanced customer experience, the menus reflect the best local ingredients available, including home-grown salad, herbs and vegetables cultivated at the Botanics by the in-house gardener. To enquire and start planning your next outdoor event, get in touch on 0845 6055 699 or email the team. *Minimum numbers for venue hire apply, 50 for the Caledonian Hall and 100 for John Hope Gateway.